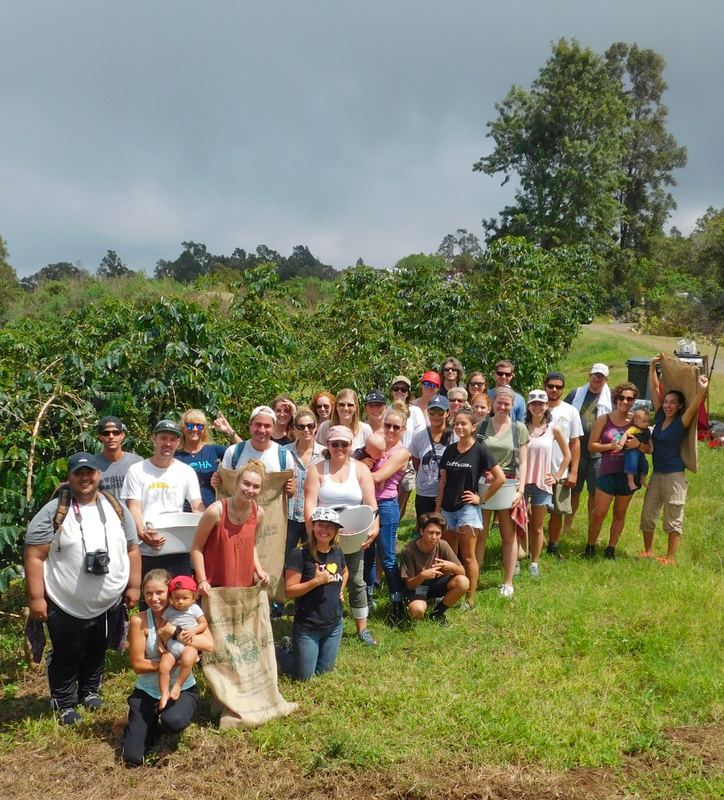 On Saturday, August 25th, you're invited to come pick the first coffee cherry of the season on our farm in Holualoa, Kona. 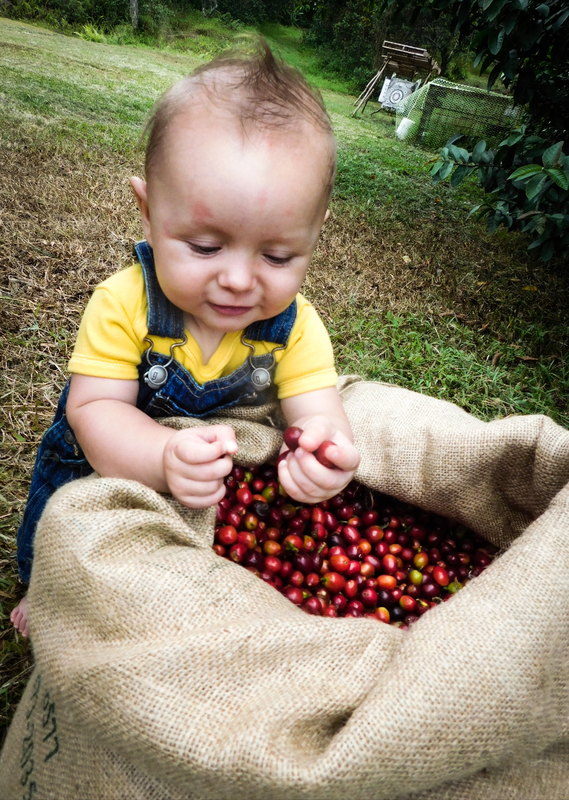 The public is invited to see how our coffee is grown and help us kickoff the harvest season by lending a hand. Picking will start at 8:30 am and will conclude with a light lunch provided to all pickers at 12 noon (before Holualoa's afternoon clouds roll in). This is a FREE event. The morning will start with some 100% Kona Coffee and pastries. Followed by picking instruction and sharing about the journey of the Kona coffee bean from farm to cup. Following this, everyone will be outfitted with picking gear and the picking will begin. 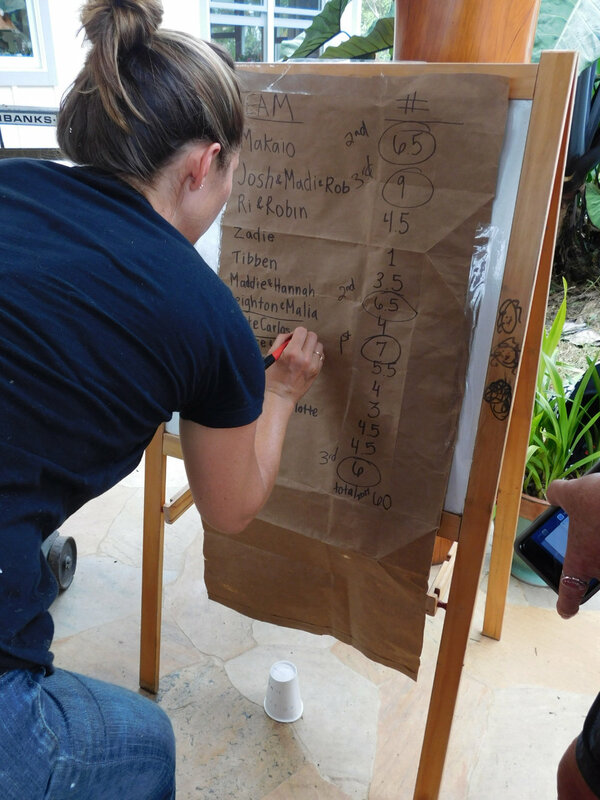 Prizes will be awarded to teams who have picked the most ripe coffee cherry, and the youngest, oldest, and furthest traveled picker. Additionally, there will be coffee trivia where more prizes will be awarded. Following the picking, a light luncheon will be provided and served at the farm house. This is a FREE, family-friendly event and all ages are welcome. RSVPs are required by filling out the form below. A map and directions to the farm will be sent out to RSVP'd attendees prior to the event. It's recommended that you bring covered shoes, attire for rain or shine, a hat, sunscreen, and bug repellent. Kona Coffee and Tea Company will provide picking baskets and picking instructions. All coffee cherry will be collected by Kona Coffee & Tea upon picking, but we'll have roasted coffee for prizes and brewed beans on hand. For more information, call Kelly at (808) 329-6577 (extension 3) or email her at Kelly@KonaCoffeeandTea.com. PHOTOS above by Cynthia Crabtree from the 2017 First Harvest. All kids must be accompanied by an adult. Mahalo for your RSVP to our First Harvest! We look forward to having you on the farm. You will be sent the directions the week before the event. The journey of a Kona Coffee & Tea coffee bean starts as a seed. Planted in the rich volcanic soil of Hualalai, this sprout is nurtured by the sunny mornings, afternoon clouds, and regular rainfall. Located on the crown of the “Kona Coffee Belt”, our farm provides ideal growing conditions for the Arabica Typica coffee varietal, at 2,000 ft. above the shores of Kona. Our coffee is “single-estate”, meaning it only comes from our farm and we can trace the origin of every bean from bean to brew. WHAT HAPPENS AFTER THE HARVEST? From our fields, the bright coffee cherry travels ten minutes down a windy country road to our mill. The ripe cherry is then hulled, polished, cleaned, and graded by our wet or dry mill. Once milled and dried, green coffee beans are then moved to our Master Roaster, Lani. In small batches, she transforms the different grades of green beans with her arsenal of expertise. While crafting light, medium, full city, or dark roasts, she tests each batch to ensure the perfect taste, smell, and color. This journey ends for our prized coffee bean in a cup full of velvety flavor. The roasted Kona Coffee & Tea beans are exclusively brewed and served in our cafés or available for purchase in our online shop.